Young Indians involves students from schools and colleges around the country to involve them in leadership, personal development and nation building activities, Yi Yuva envisions connecting students to the community, the country at large and working towards a movement for "Nation Building". The formation of the "YUVA" at The Delta Study was held on 6th July, 2018 . 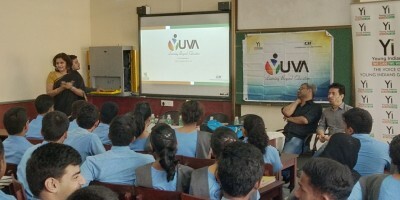 The students of Std IX and XI were briefed on the different projects of Yi, which includes Photography Competiton, Campaigns,Work Shops, Field trips etc by the Chairperson of YUVA, Mrs. Smitha Naik who was accompanied by Mr. Mohan Chandran and Essar.